University of Central Arkansas senior Paden Sharp didn’t let a bad note in the sixth grade steer him away from a promising career in music. Paden, 22, is a son of Carey and Gail Sharp. A 2015 graduate of Conway High School, he grew up around music, in his family and at church. It was later in life that he appreciated how much music he grew up around and that it could lead to a career. 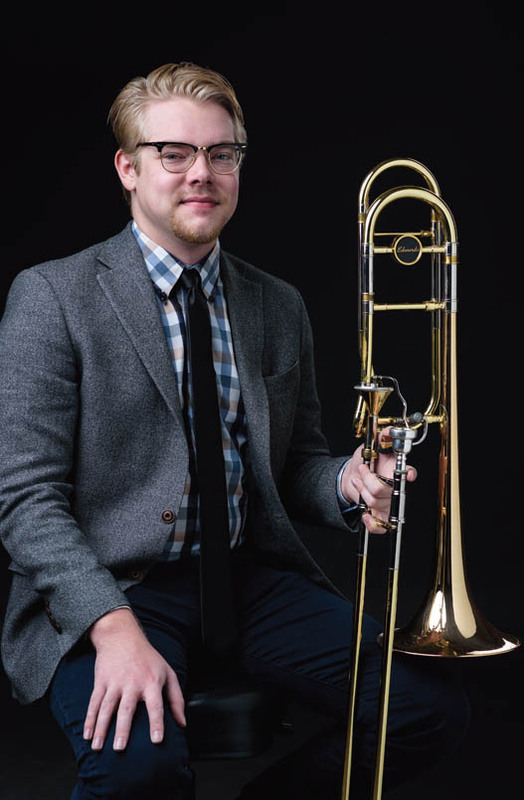 Paden said it wasn’t a moment where he considered that he would be playing the trombone the rest of his life but was willing to see how it would go. During the second semester of sixth grade, Paden was making good progress with the trombone when he began taking lessons with band director Todd Johnson. During All Region band competitions, Paden scored near the top, but he didn’t recognize his potential. “I didn’t realize where I was musically.” He said Dixie Band Camp at UCA during the summer played an important role. In the high school band, he was named All State and played in the honor band. He also had success playing in the school orchestra. At UCA, he studies trombone with Dr. Justin Cook. On a normal school day, he will practice three to four hours in addition to rehearsals. Paden said he thinks some students go to college thinking they want to be a band director and nothing else. “They come to college and realize there are so many other things you can do with music.” As an example, Paden has a friend who is majoring in music at UCA and is planning to go to graduate school to pursue a career in recording technology. In the fall of 2017, Paden began playing with the Conway Symphony Orchestra, an experience he has enjoyed. Next, he plans to attend graduate school and is considering programs at the University of the Arts Bern in Switzerland, the Amsterdam Conservatory, Northwestern University in Illinois, Juilliard School in New York City and Columbus State University in Georgia. Auditions are this spring. Ultimately, Paden would like to earn his doctorate. Paden sometimes thinks back to that 11-year-old who considered the saxophone and cello before trying out the trombone. “It is a good thing that the saxophone didn’t work out when he was younger. I don’t think I would’ve been nearly as successful on saxophone….I don’t think I would have been led to do music if I had picked the cello or the saxophone.